Summer is my favorite season! I love being outside, so it makes me very happy when the weather is nice enough to have dinner outside. 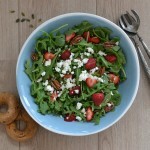 In this blog post I’m sharing my favorite healthy picnic recipes. All these dishes are easy to take with you to the park, the beach or wherever you want to take them! 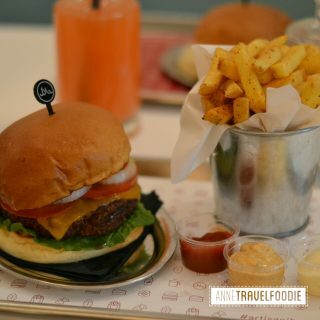 They’re all vegetarian, vegan or easily made vegetarian/vegan. Need more inspiration? 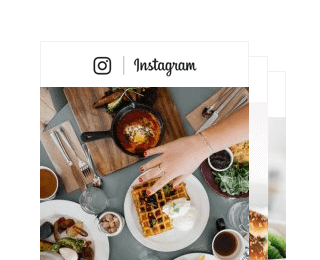 Check my healthy picnic recipes Pinterest board! 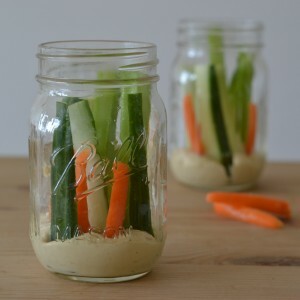 These salad jars are super healthy and besides vegan, they’re also gluten free. 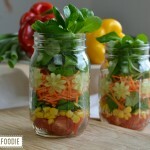 My salad jar starts with a layer of chopped cherry tomatoes and corn. followed by a layer of lettuce. I cut flowers out of cucumber slices using a cookie cutter. You can find the flowers in the grated carrot layer. I finished with another layer of lettuce. 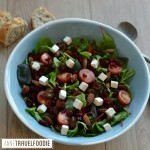 Keep your dressing aside until serving so the salad stays fresh. I used a couple of drops of olive oil as a dressing, since I thought the salad already had enough taste on its own. 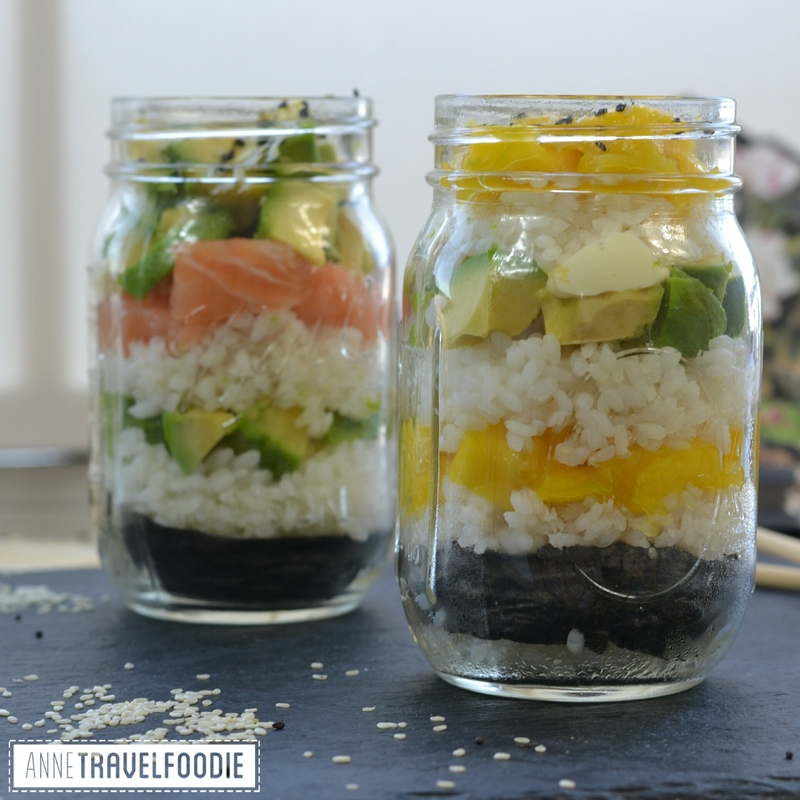 Food in a jar is just really easy to take with you, so besides my salad jars, you can also take sushi jars on your picnic! I started by cutting two lines from a nori sheet. You can use this to place at the bottom of the jars. 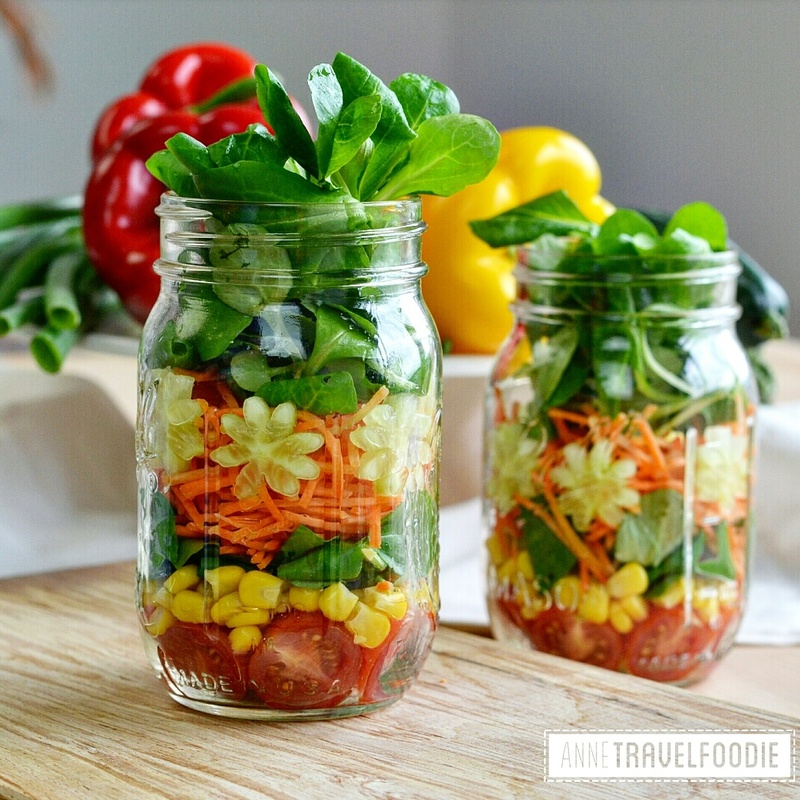 Now you can layer the jars as wished. For the vegan sushi jar I added a layer of sushi rice, a layer of mango, another layer of sushi rice, a layer of avocado, another layer of rice and I ended with a layer of mango. 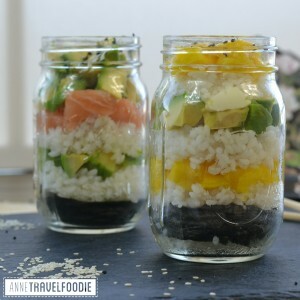 For the other jar I added a layer of sushi rice, a layer of avocado, another layer of sushi rice, a tbs of the mayonnaise mix, a layer of salmon and I ended with a layer of avocado. 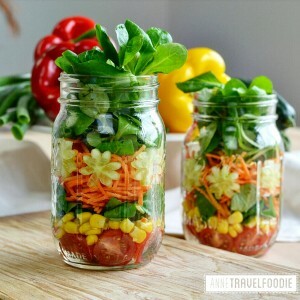 Even more jar food! I’m sorry but you’ll thank me later. For these hummus jars I put a few scoops of hummus at the bottom of the jars. You can use store bought hummus or make your own with this recipe. Cut a cucumber, some carrots and some celery in long small pieces. Make sure they’re not longer than the height of the jar, so you can still put the lid on. You can of course put any spread of your choice on the bottom and use any kind of vegetables. 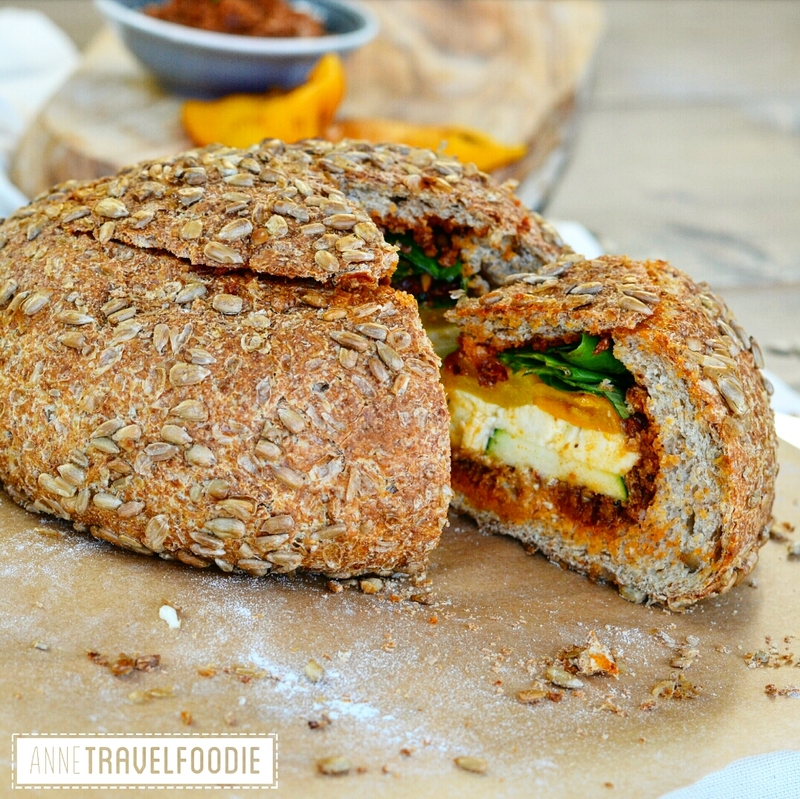 This vegetarian Picnic Bread is another delicious, healthy choice to bring along on your next picnic. 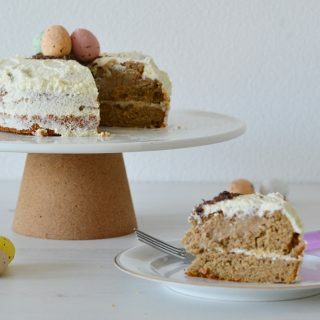 The result looks amazing but it’s actually quite easy to make. 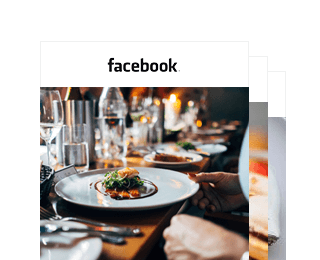 You can check the video that I made with Foodie Channel on my YouTube account, or read the recipe here. Cut the top of a big round bread and use a knife and a spoon to empty the inside of the bread. 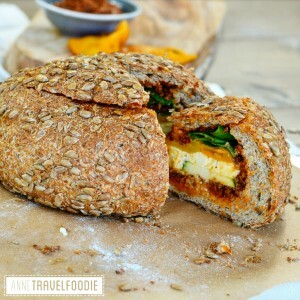 Cover the inside of the bread with red pesto and fill it with layers of your choice. I used courgette (zucchini), mozzarella, grilled peppers and lettuce. You can cut the bread in pie like parts before serving. This middle eastern dish is not only healthy and easy to make; it’s also very easy to make ahead and take with you on a summer’s picnic since you eat it cold. This dish is vegetarian and vegan, although you can add some feta cheese if you want. Prepare the bulgur as stated on the package and let it cool completely. Chop a cucumber and 2 tomatoes and cut some spring onions. 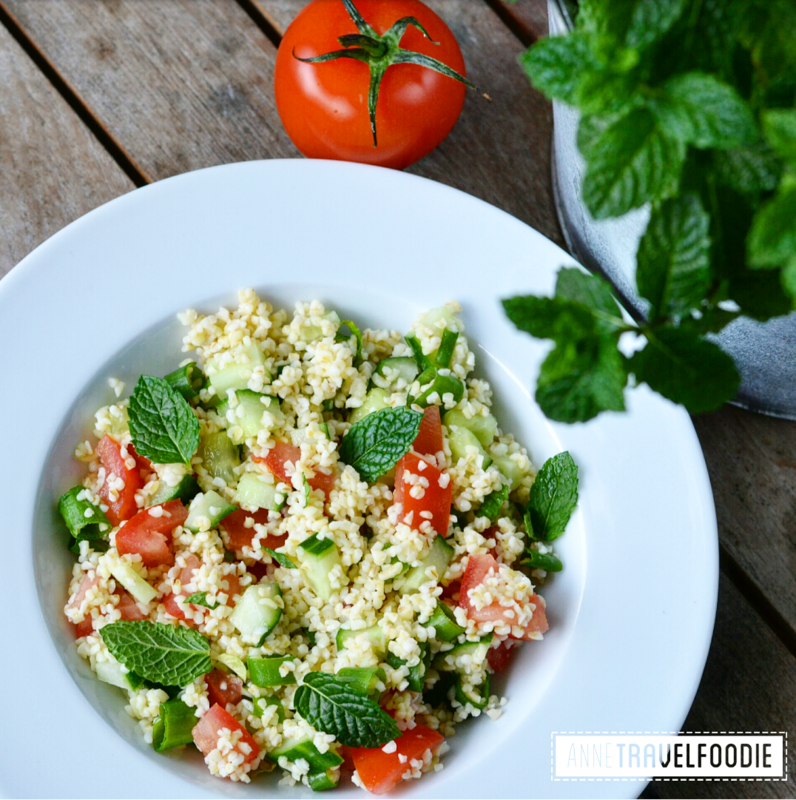 Mix the vegetables with the bulgur and serve with the fresh mint leaves. 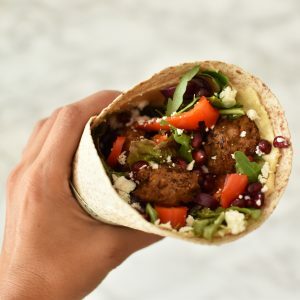 This vegetarian falafel wrap is inspired by my favorite festival food. 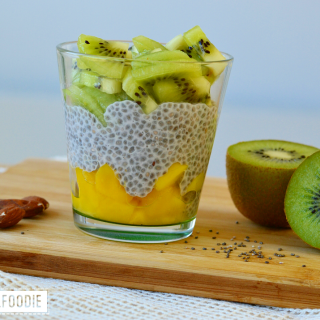 It’s healthy, vegetarian and easy to eat! I’ve made it with whole wheat wraps, hummus, falafel balls, salad, grilled bell pepper and red onion and it’s served with pommegranate seeds and crumbled feta cheese.